Task: Design another remote control to fall in line with the previous two. 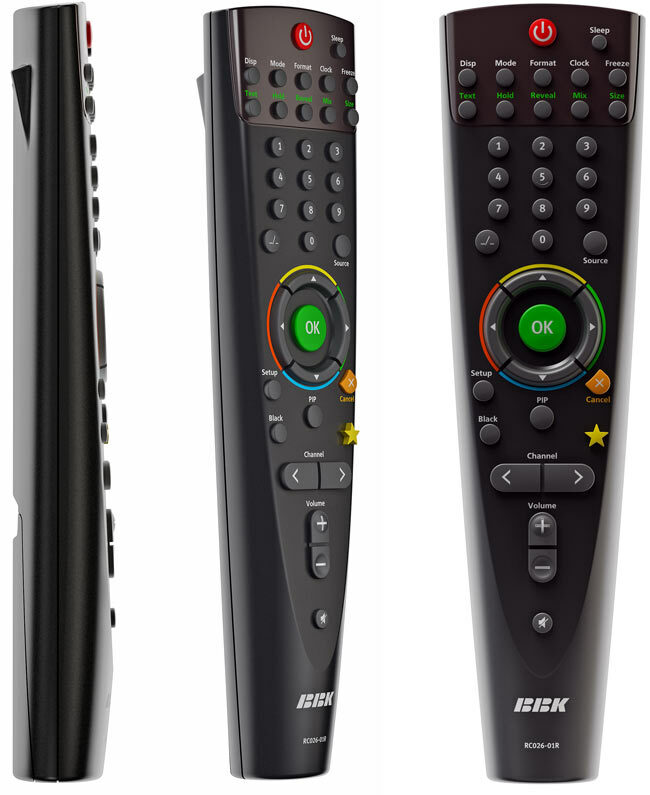 The key feature of the new BBK TFT TV remote control is a replaceable upper part of the shell. 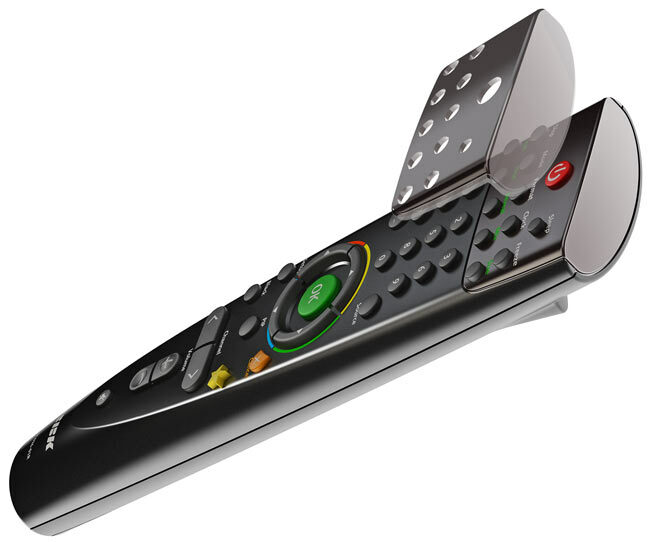 It can serve for both housing the buttons and shielding the infrared transmitter. This allows producers to cut massive production costs as only one type of mold can be used to make different models.